Once I made my way through Caitlin Moran’s How To Be A Woman, I thought it was probably a good idea to remind myself how far women have actually come. 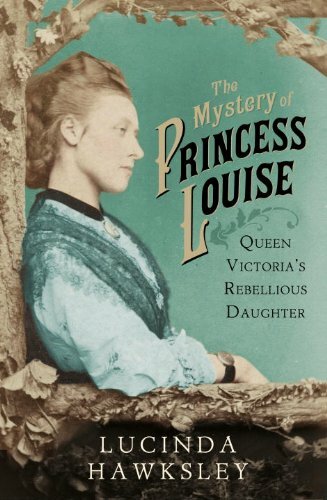 Perusing my shelves, I decided to read Lucinda Hawskley’s The Mystery of Princess Louise: Queen Victoria’s Rebellious Daughter. If you watched The Young Victoria with Emily Blunt (I did. 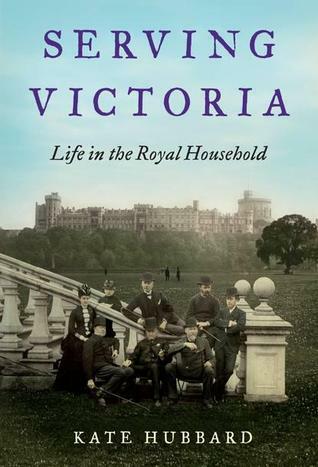 Loved it) you’d be forgiven for thinking that Queen Victoria was a loving, open-hearted woman who adored her family because you would be wrong. Queen Victoria adored her husband and resented anything (her children) that took her time away from him. She detested the business of actually having children and begrudged those of her children who wished to have their own lives (the nerve!). Princess Louise was the 6th of her children, after Victoria, Albert (Edward VII), Alice, Alfred and Helena, before Arthur, Leopold and Beatrice (when you win Trivial Pursuit because you read this, you can thank me). I will admit to being personally delighted with this book right away – Princess Louise and I share a birthday and that has never happened with any biography I’ve read before. Her mother thought she was stubborn and rebellious, although she would admit that she was quite good looking. Louise was close to her brothers Albert, Arthur and Leopold but would spend a lifetime at loggerheads with one sister or another, usually coddled baby Beatrice. Lucinda Hawksley (a great-great-great-great granddaughter of Charles Dickens) became interested in Princess Louise after researching biographies of notable Victorian artists (like Kate Perugini, a daughter of Dickens’) and seeing her name everywhere. When she went to look into her life further, she found that a lot of the documents relating to her were locked up in the Royal Archives without access. Bucking trends would become a lifelong habit of Princess Louise’s. She became the first royal daughter to be educated at a public school. She became a sculptor of some talent, even getting her mother to agree to setting aside studio space for her. She was very active in the artistic community of the day and was a supporter of the suffrage movement as well. These activities, especially any to do with Women’s Rights, became complicated by her mother’s total disagreement with the cause – for Queen Victoria, a woman’s place was in the home. It would appear that before Louise married she became involved with a tutor of her brother’s and may have had an illegitimate child. According to Hawksley, this child grew up aware that she was his mother and the ties between the adoptive family and the Royal family were inexplicable otherwise. Louise refused to marry a foreign prince, making her the first British princess to marry a “commoner” (he was a Duke) since the 1500s. She endeared herself to the British people but her family thought she was marrying down, bringing common blood into the royal family. She travelled all over the world with her husband, especially North America after he (the Marquess of Lorne, later Duke of Argyll) was appointed the Governor-General of Canada. Rumours of his homosexuality have plagued the couple for generations. Living in Canada, I was delighted with the Canadian connections to Louise. Canadians wanted to name a Western territory after her, so she suggested they use her middle name, Alberta. After she had left, Lake Louise was also named in her honour. Princess Louise lived a good long time – she died in 1939 at the age of 91. Hawksley’s biography of Princess Louise is a thoughtful well researched (especially considering all of the roadblocks she encountered) account of one of the most interesting princesses of her day. Because of the secrecy surrounding so much of her life, Princess Louise has dropped off as a notable person of her day but Hawksley’s work should go a long way to bringing her back to the fore where she belongs. I have read a lot of different variations on the crime fiction theme this year. This year was supposed to be the year that I revisited my love for the classics and made an effort to add more non-fiction to the mix but it has turned out to be the year when I fully indulged my love of crime fiction. I have read crime fiction by Scandinavian authors, their popularity boosted by the success of Stieg Larsson, their fan base growing because their own series’ are so depraved and diabolical. I have been introduced to the brilliance of Scottish crime writer Ian Rankin, hurrying along the streets of Edinburgh along Rebus and Fox, getting a first-hand account of the underbelly of this most inviting tourist city. And of course, of course, I’ve made sure to spend time with that scion of crime fiction, the Queen herself, Agatha Christie. 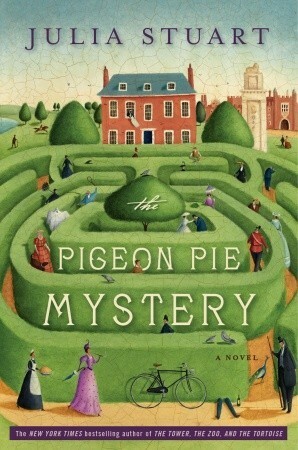 It’s no wonder then, that I was drawn to Julia Stuart’s The Pigeon Pie Mystery. This one promised a host of wacky characters and a Victorian-era murder. Aside from Sherlock Holmes, I haven’t read too many murder mysteries that take place during the Victorian era. So Princess Alexandrina, nicknamed Mink, is the daughter of the Maharaja. She is British-born, unmarried and used to being excessively wealthy. When her father dies under fairly scandalous circumstances, it doesn’t take long for her to find out that she is in fact penniless. The government keeps writing to her, telling her she has to sell her home and she has no idea what she will do, having seen nothing of her intended, Mr. Cavendish, since the death of her father. Queen Victoria herself comes to the rescue, offering Mink a grace-and-favour apartment at Hampton Court Palace. Having literally no other options, Mink and her maid, Pooki, make the move. Hampton Court Palace is filled with all kinds of bizarre residents and staff from the Countess who refuses to pay for anything to the housekeeper, Mrs. Boots who is convinced that she is going crazy as she keeps seeing a monkey in red velvet trousers all over the place. Mink and Pooki are settling in nicely and are invited to an Easter residents’ picnic. Pooki makes a few Pigeon Pies for the picnic, one especially for General Bagshot as he can’t have eggs. But after eating the pie, the General starts to feel unwell and hours later he’s dead. That’s a lot of set up right? That’s kind of how I felt reading it. It took a really long time for the murder to even take place and then I felt like there was a lot of screwing around as Mink tries to find out who was responsible to save Pooki from a hanging. I enjoyed the bizarre English characters but I had a hard time keeping them all straight as they flitted in and out of the narrative. In the end there’s even a love story but I found that it was completely secondary to the mystery and completely unnecessary. Another one of those books where the ending seems to be wrapped up too quickly, after you’ve spent an inordinate amount of time on the foundation of it all. I’m not sure that all of this was enough to put me off Stuart’s work in the future. I know that she has at least two other books out there and I’m curious if this was a one-off for me. But if I’ve learned anything from all this crime reading, it’s that poison really is a woman’s weapon.